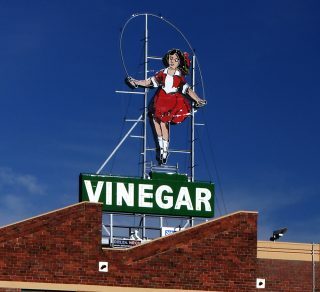 The National Trust of Australia (Victoria) has been lobbying for the preservation of Victoria's heritage since 1956, and advocacy remains at the heart of all that we do. As the largest community-based heritage organisation in Victoria, the National Trust is the lead voice campaigning to protect our irreplaceable heritage. 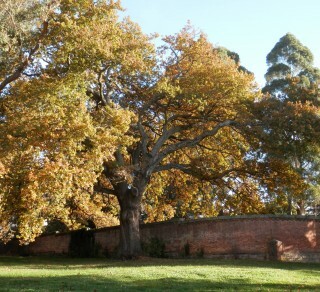 Our campaigns are guided by a network of advisory committees comprised of leading experts who provide advice on heritage issues and input on submissions advocating for the recognition, protection and celebration of heritage across Victoria, including Aboriginal cultural heritage, buildings, trees, industrial sites, cultural and natural landscapes, public art, and pipe organs. 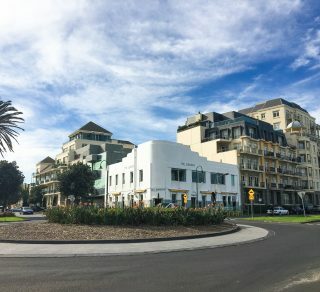 We advocate for heritage places to be recognised on the Victorian Heritage Register and in local planning schemes, and defend heritage places at Planning Panels and VCAT. We support councils to recognise, celebrate and protect local heritage, and work with our partners and community groups to build capacity for heritage advocacy across Victoria. 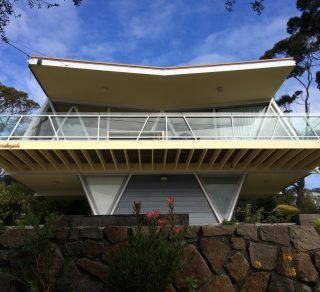 From Bendigo to Beaumaris, Melbourne's Marvellous Modernism is under threat. The National Trust is leading the fight to protect our gems of mid-century modernism. 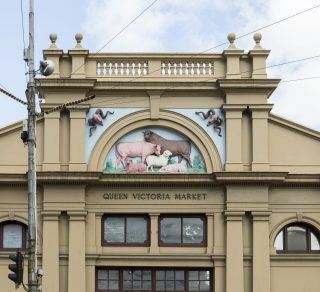 The City of Melbourne's Queen Victoria Market Precinct Renewal Project will see some of the biggest changes to the market since it was established in 1878. The National Trust supports the careful management of change to protect the heritage values of this nationally significant place. 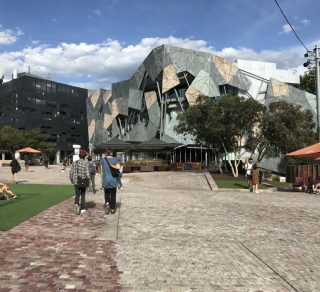 The National Trust advocates for the architectural, aesthetic, historic, and social heritage values of Federation Square to guide any future change at the site, and for all planning to be open and transparent. Significant trees grow between skyscrapers, in parks and gardens, along streets and highways, and in the bush. With our expert Significant Tree Committee, we campaign for their recognition, maintenance and protection. 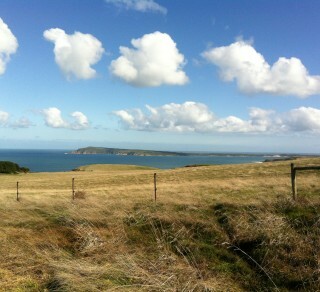 The National Trust advocates for the protection of significant landscapes. Our work includes raising community awareness through events and news, as well as leading environmental campaigns that seek to protect landscapes threatened by development. 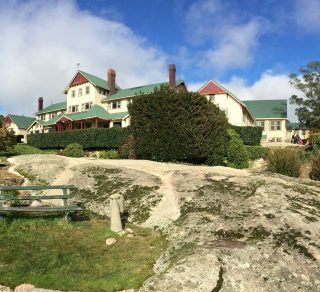 The National Trust is campaigning for urgent government action to secure the future of Mt Buffalo Chalet, one of Victoria's most beloved tourist attractions. Since the unlawful demolition of the Corkman Irish Pub in 2016, the need to protect our historic pubs from inappropriate development has never been more urgent. Since planning for the Melbourne Metro Rail Project began in 2014, the National Trust of Australia (Victoria) has been advocating for cultural and environmental heritage to be a key consideration in planning for the project. 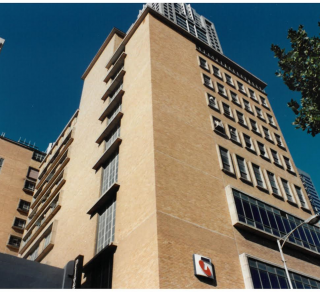 In 2014, we published "Melbourne’s Marvellous Modernism: A Comparative Analysis of Post-War Modern Architecture in Melbourne’s CBD 1955 -1975." 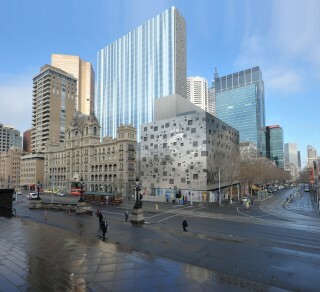 This comprehensive survey informs our advocacy for post-war heritage in the heart of Melbourne. A better future for W Class Trams? 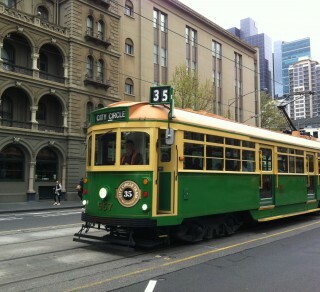 The National Trust supports the maintenance, restoration and use of Melbourne's W Class Tram fleet. Our heritage trams are iconic, and deserve to be conserved and celebrated. 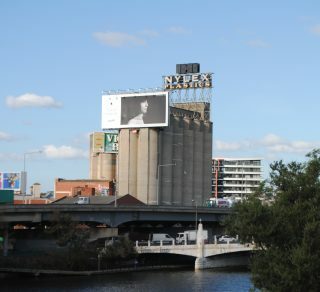 The National Trust has successfully advocated for the concrete silos beneath the Nylex sign, an icon of the Melbourne skyline, to be incorporated into a new development on one of the state's most significant industrial sites. 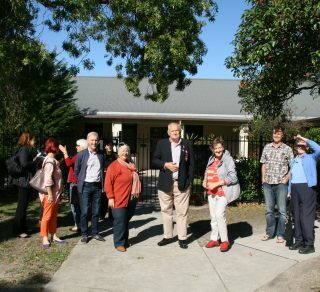 During the Centenary of World War I, the National Trust supported the Glen Eira Historical Society to successfully advocate for the inclusion of a 1916 Rest Home which purpose-built to house injured soldiers returned from war. Demolition by Neglect is an ongoing campaign against heritage destruction as a result of poor management by owners. Read more to find out about the National Trust's research on this issue. The National Trust has been involved in a series of campaigns that seek to secure protection of the heritage of Bourke Hill Precinct, right on Parliament's door step. The National Trust prepares submissions and appears at planning panels in support of planning scheme amendments to apply heritage or landscape controls to significant places. Some of the amendments we have supported in the past are documented on our blog. The National Trust Advocacy Toolkit is a free online resource created by the National Trust of Australia (Victoria) to support individuals and communities to advocate for the protection of places of cultural heritage significance. 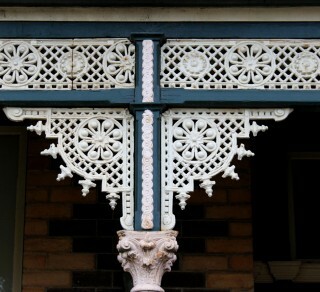 The National Trust Heritage Register covers all types of cultural and natural heritage in Victoria.